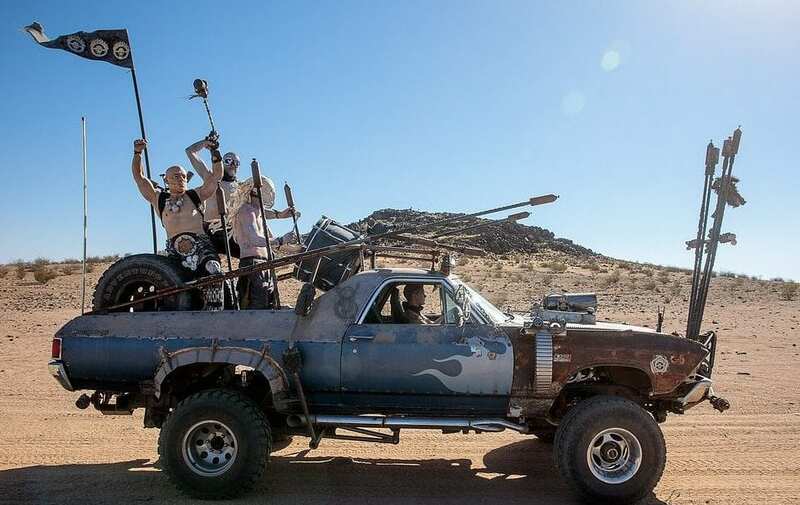 One of the most unforgettable images of the 2015 Fury Road film were the Warboys. They were acolytes to Immortan Joe, totally and thoughtlessly obedient. They had been brainwashed, and were truly in it for the thrill of the ride with their whooping and hollering, like all the death and destruction was one big frat party. It’s easily a common look at Wasteland Weekend, and an easy one to replicate. As recognizable as they are, the Warboy aesthetic is quite simple, based on taking your shirt off and painting your skin extremely pale. If you’ve ever wanted to have a flour fight with someone, here’s the place.